It’s easy to get lazy when you’re dressing for around the house or a Starbucks run, but it’s so much more fun to wear something that makes you feel good and makes you smile. You’ve got to check out all the cute, fun, and high quality graphic tees and sweatshirts at Melonkiss! I see about ten more that I want! I’m also wearing a cute little black and white striped headband from Headbands of Hope. For every headband sold, the brand donates a headband to a child with cancer. Be sure to check out the site and read their inspiring story here. I can’t think of a better reason to treat yourself to a cute new headband. And coffee is always a favorite part of my morning. How fun is this camera lens coffee mug? My husband surprised me with this recently. My first thought was, oh no, more camera equipment that I have no idea how to use! But drinking coffee? I’m a pro at that! Kim of The Knotted Chain – so on trend and chic. 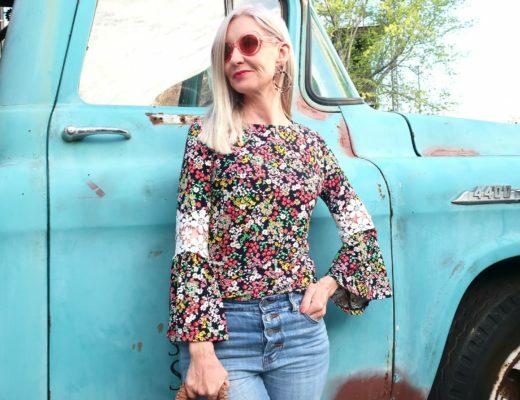 That off the shoulder blouse with bell sleeves is stunning, right? Cheryl of Northwestern Mountain Living – so friggin’ adorable! Lovely smile, perfect legs … and an outfit I want to copy. Bogi of Red Reticule – who looks this gorgeous in yellow? Always a class act! Link up, link back, visit each other, and have fun! 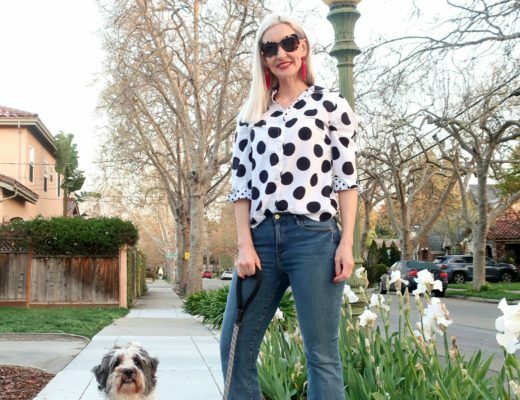 As always, I can’t wait to see what all my favorite style bloggers are wearing this week! Sweatshirt and headband were given as gifts to review. All opinions are my own … ALWAYS! I love your sweatshirt and headband! Like you I love dressing up, but as soon as I come home I go right for my sweatpants and comfy clothes! I hope you have a lovely weekend! YOU are a DOLL!!! 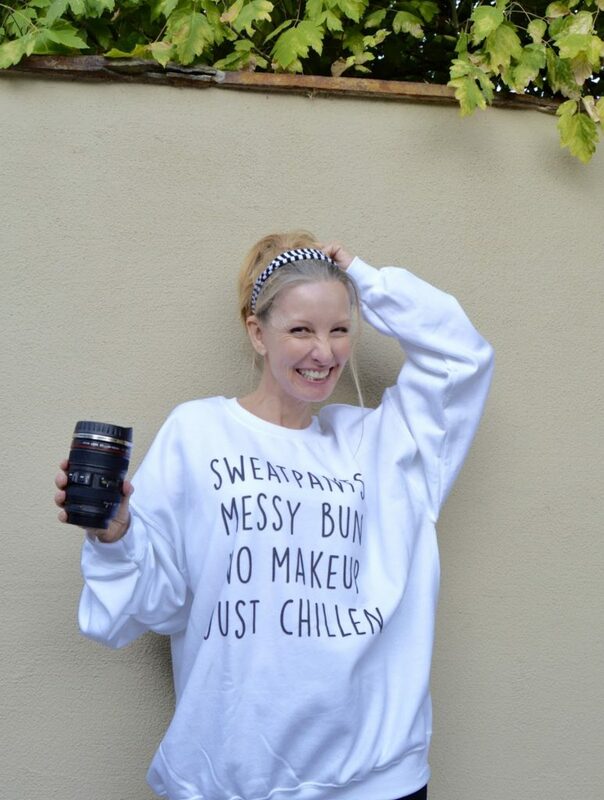 And nailed it, I too love to dress up from time to time, but oh so happiest in my comfies!! Love this whole look on you. Funny about the coffee cup, I first thought you were holding your lens to your lips, so FUN!!!!! Happy weekend angel!! Love the coffee mug- too fun! 'Comfy time', love that! An honest blogger, that's great. I bet we all secretly love those moments when we don't dress up, just relax. How cute do you look in this top! So comfy and totally chillin. Have a great weekend! Love the coffee mug. I need to get one of those. Thanks for hosting and getting the weekend started. I love this sweatshirt—-I mean, if you're going to be in a sweatshirt—it might as well be a fun one!! Love the headband, definitely…I'll have to check them out! Yeah if it's a fun sweatshirt then you feel cuter hanging out, right? Much! Fabulous blog!!! I am hooked!! You look adorable and I love that camera mug! I have several people I need to buy that for! What a fun sweat shirt! I adore this sweatshirt!!!! So cute!! Let me know if you do that post. I'd love to read it! And aww, thanks so much! Love the sweatshirt. Comfy rules!! Oh my goodness, Dawn Lucy! Can you be any cuter?! Such an adorable chilling look! Awww … adore you! Muah! Such a cute sweatshirt! I've got that coffee mug too, I love it! Nothing beats being home & being cozy!!! 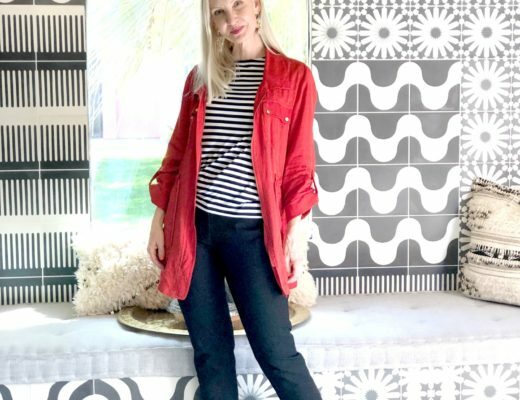 I can’t wait for you to see what I’m wearing at the blog right now – come check it out and lemme know what you think! Such a fun top! Perfect for lazy days at home when comfort is key. Oh my goodness…that cup and top are the cutest! I totally agree on lazy days! I love this! 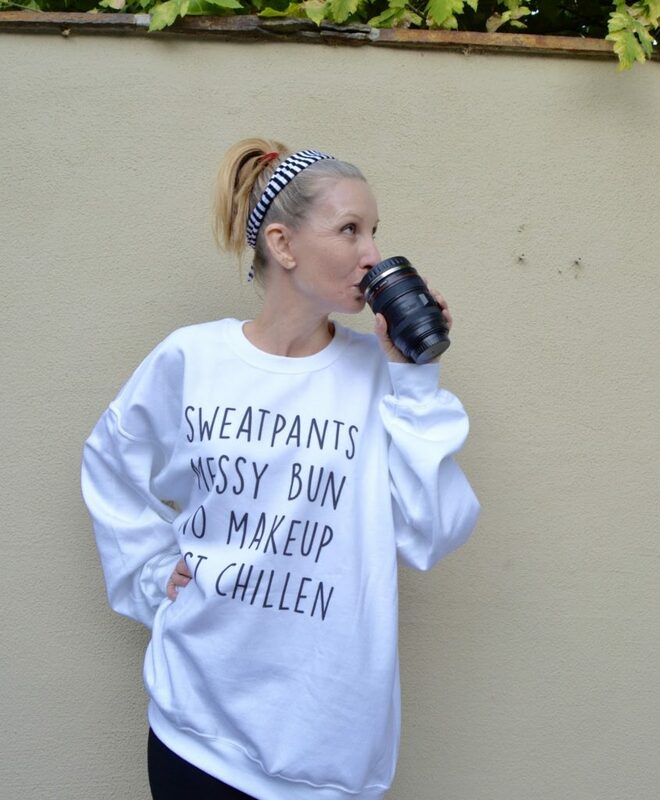 I actually just bought a tee that says "Coffee and Messy Buns." I think that accurately describes my life. Haha. Coffee & messy buns are the way to go!!! I need this sweatshirt! You look so cute and I adore that headband. Thanks for the link up! It would so cute on you, Kathrine! Could you be any cuter?!! Love! Have a super weekend! Awww … kisses to you! I love your cute and comfortable look! I nice look for the weekend! You're the sweetest, Monika! Muah! 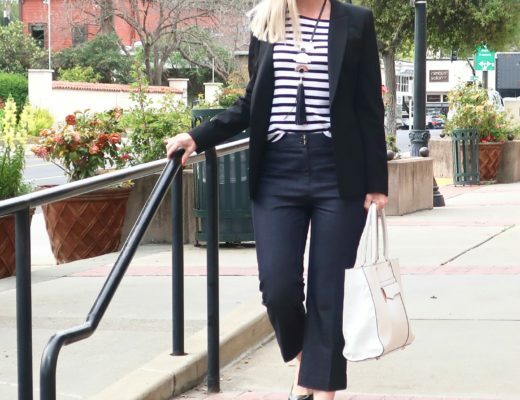 Such a fun, relaxed look! That shirt is too cute. However, I am dying over your coffee mug – seriously Need this in my life! Isn't it the cutest? My hubby picks out the best stuff. Have a great weekend Dawn Lucy! Love the message my friend! That coffeecup mug is too cool! I bookmarked it for hubby! I also love comfy time! 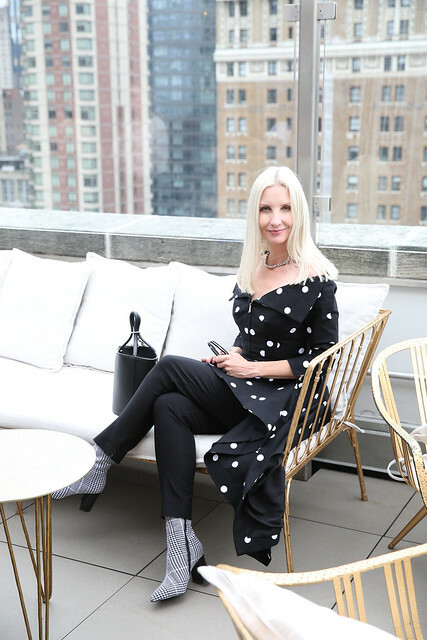 I do my work in a robe outside on the deck in the morning.As much as dress up to go out, I usually do come home and get into yoga pants or shorts. Comfy time rocks! OXOX to you Jess! Great Melankiss sweatshirt! It looks so cute and comfy. What a cute and cozy sweatshirt! Friday nights are for relaxing! Wearing my pyamas, having a nice drink and snacks! Yeah! Happy weekend! I love tops, sweaters, anything with cheeky little phrases like this! So cute! And your smile is contagious! I love sweaters and sweatshirts to lounge in! I'll have to check out the website because yours is perfect! Dawn, you are just too cute in this post! I chose this as one of my featured faves from last week's Thursday Favorite Things. I will be featuring you this week on my Thursday post! That sweatshirt is too fun! 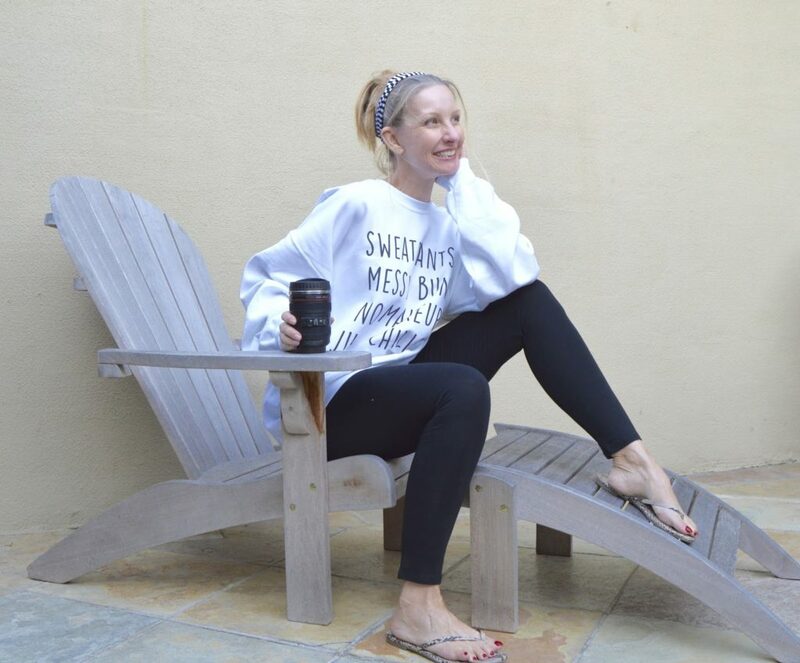 This sweatshirt is the cutest, and I'm in love with your coffee mug! 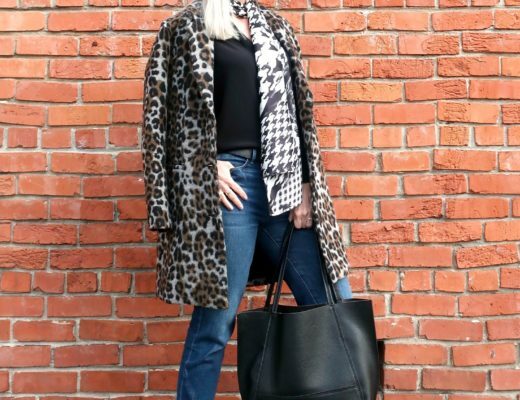 Such a great cozy look! 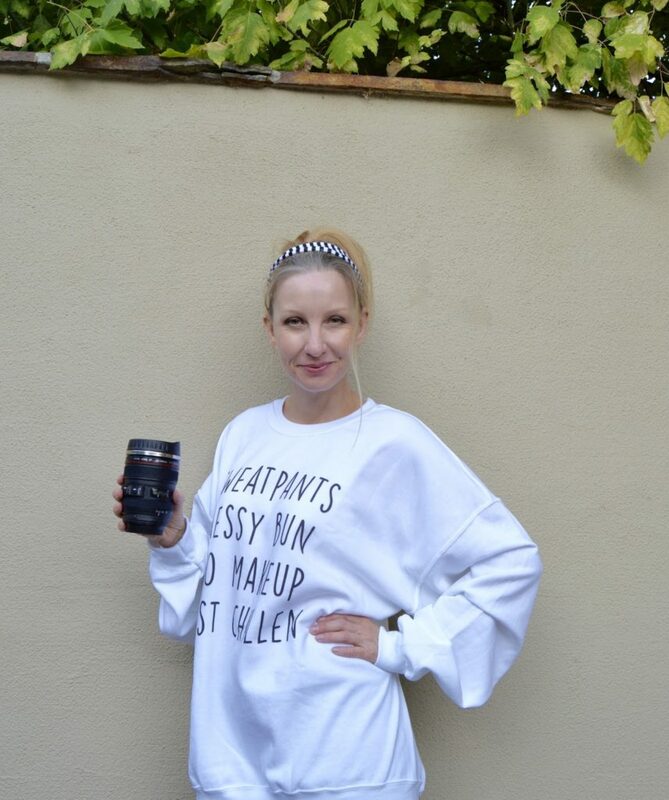 Love the coffee mug and the saying on your shirt. I think i am going to get hubby that mug for Christmas!